As a captive bred bearded dragon breeder, we are proud to work with some the best bearded dragon for sale blood lines anywhere. Our bearded dragon breeders program is top notch, producing the nicest baby bearded dragons for sale anywhere. 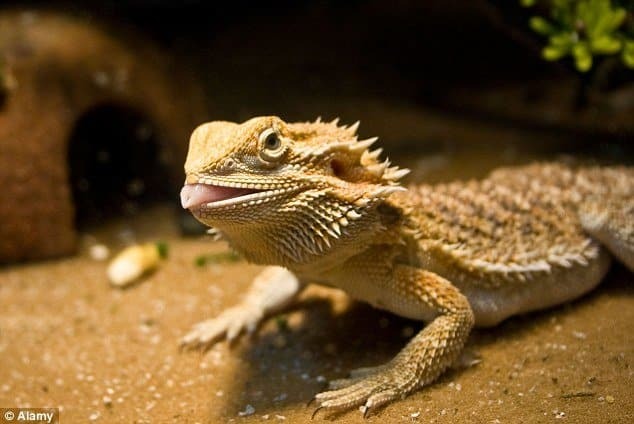 Beared dragons for sale online from bearded dragon breeder of baby bearded dragon for sale near me. Looking for a new pet bearded dragon for sale? You have come tot the right place! We have the nicest bearded dragons for sale in the USA at unbelievable prices with overnight next day shipping! Popular as pets, bearded dragons or “beardies” are moderately sized lizards native to Australia. While they are generally considered good pets, even for beginner reptile owners, they do have fairly complex nutritional and environmental requirements. Therefore, special equipment and a fair amount of time is needed to care for bearded dragons properly. However, they are social, easy to tame and handle, and they show a range of fascinating behaviors that make them interesting to watch. Although several other species are becoming available to the pet trade, the most commonly available variety is the central or inland bearded dragon, Pogona vitticeps. This species is native to arid, rocky areas of Australia, and is typically tan/brown in coloration (but several color morphs are also available). Their bearded name is derived from the spines that line their throats. These spines usually lie flat but if the dragon feels threatened, the throat is expanded causing the spines to stand up and making the dragon look like they have a beard and more intimidating (especially combined with their tendency to flatten their bodies to appear wider). However, bearded dragons are generally docile and their aggressive displays are rarely seen in captivity which makes them very popular pet reptiles. Virtually all baby bearded dragons for sale available in America are captive bred, as Australia has strict laws against exportation of it’s wildlife. Thankfully, bearded dragons are easily found at pet stores and reptile shows due to how easy they are to breed.